The scope of work of the elevator specialty electrical contractor covers the electrical portion of the installation, repair, assembly, service, maintenance of elevators, conveyors, electrified dumbwaiters, escalators, moving sidewalks, all automatic and manual controls, signal systems, other devices and manual controls, and electrical wiring appurtenant to the safe and efficient operation of such elevators. 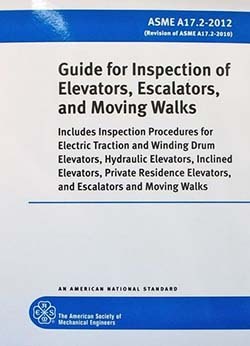 However, the scope of such certification does not include work beyond the last disconnecting means or the terminal equipment adjacent to or in the elevator shaft or designated construction area. The American Electrician's Handbook provides the student with all there is to know about designing, maintaining, and operating electrical systems and equipment.. It provides requirements applying to the design, construction, installation, operation, testing, inspection, maintenance, alteration and repair of these conveyances. 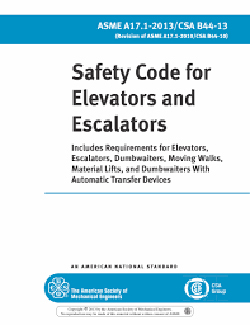 Describes the safety requirements for existing elevators and escalators to enhance the safety of the general public. 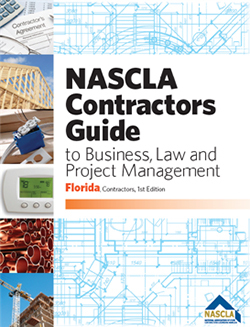 The 2014 National Electrical Code is used as a reference in electrical contractor exams.